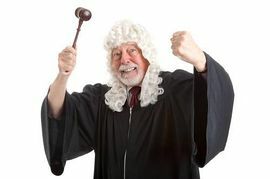 This Act Is A Response By The Citizens Of The State Of Pennsylvania To The Unconstitutional Exceeding Of Power And Jurisdiction By The Pennsylvania Judicial Branch, That Has Resulted In Immeasurable Incidents Of Denial Of Due Process, False Imprisonments, Undue Deprivation Of Personal and Real Property, And Civil Rights Violations Of The People Of This State. 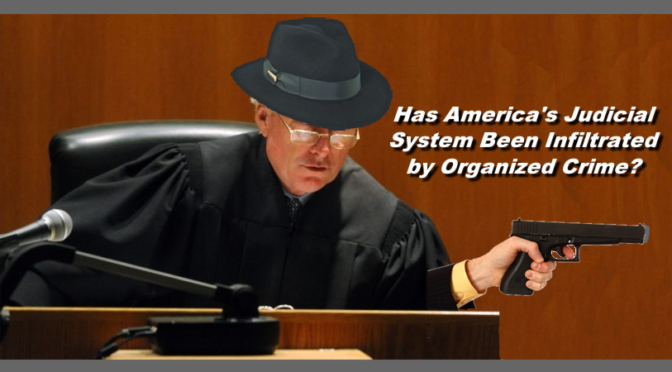 The Provisions Contained Herein Seek To Remedy The Deficiencies That Have Emerged In The Pennsylvania Court System As A Result Of The Absence Of Such Provisions Over The Last Several Decades. Article V Section 10(C) was put on a referendum to the voters in 1968. 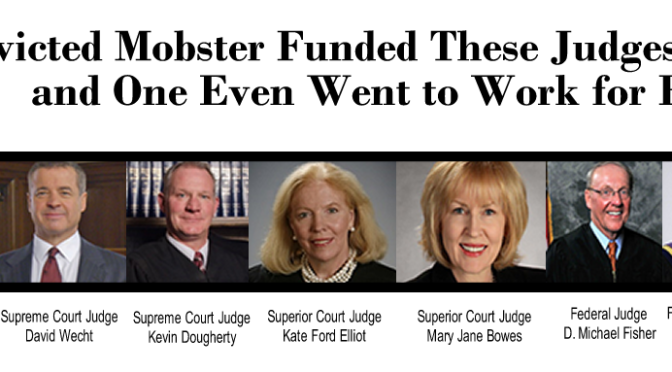 It was supposed to give the Pennsylvania Supreme Court "administrative" power over the Judicial Branch. However, the text of the amendment was somewhat ambiguous, and the manner in which the Judiciary began to use this power, exceeded that which the Executive and Legislative Branches had intended. 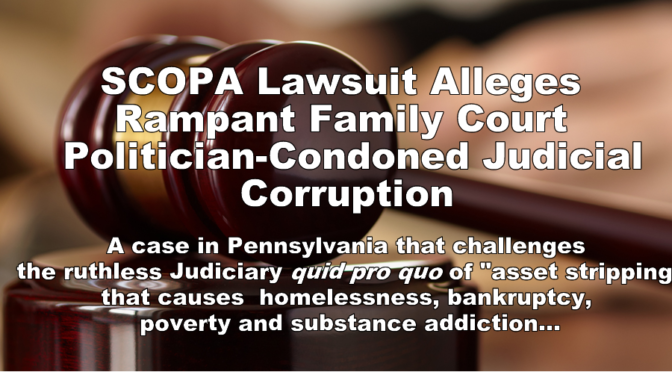 One person, who wishes to remain anonymous at this time, has instituted a challenge to end this racketeering, without an attorney, against the entire Pennsylvania Court system and its agencies, with allegations based upon unlawful deprivation of personal property. When former Pennsylvania Attorney General Kathleen Kane received a campaign contribution from billionaire, twice convicted mobster Louis DeNaples, she returned it. But that did not stop the media in Pennsylvania from heavily reporting on it. The media further made a huge deal that District Attorney Stephen Zappala also got donations from DeNaples, resulting in his withdrawing from his candidacy for Pennsylvania Attorney General last year. 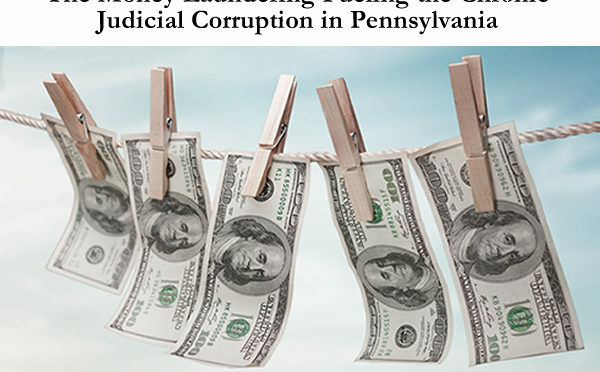 The renowned journal the Legal Intelligencer recently revisited an embarrassing industry topic in an article entitled "Why Do Pennsylvania's Courts Suffer From Chronic Scandal?" 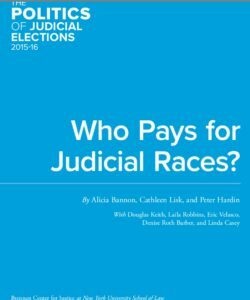 While the author included its numerous infamous scandals as evidence, they fell short in answering their own question. It is answered here. The failure to remedy the situation itself speaks volumes, with an obvious aversion to interfering with the status quo... the reason is simple and not unique to Pennsylvania.